Detoxification is the process in which your system frees itself of unneeded waste. Alcohol detox is when the person has been abusing alcohol and they are withdrawn from it. This process must occur with the help of a doctor or a licensed professional. 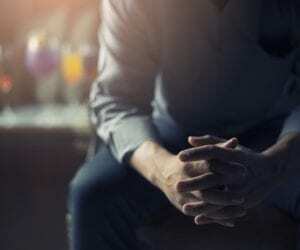 Alcohol detox does not address a psychological or behavioral issue that arises from the addiction itself, leaving the abuser without the knowledge or the tools needed to change behaviors that are crucial for their recovery. Alcohol detox must be the first step on the road to sobriety. Detoxing from alcohol will cause the user to begin to have cravings for alcohol and withdrawal symptoms will occur. Alcohol detox is known to be uncomfortable, both psychologically and physically. The severity of these effects depends on the individuals themselves. Detoxing from alcohol should be done at an inpatient rehab center. Trying to detox on your own may cause the user to start drinking again because detoxing can be so excruciating that the person may rather drink than go through this painful process. The alcohol detox timeline has been known to last anywhere between three and 14 days; it all depends on the individual and the severity of the alcohol abuse. Worrying about the length of your alcohol detox should not play a role in your choice to become sober. The effects of the outcome in your personal and professional should be your focus. The alcohol detox timeline is insignificant in comparison to the months or years you’ve lost to your alcohol abuse. The withdrawal symptoms begin to manifest themselves within one to 72 hours of quitting alcohol. Though these symptoms seem extremely painful and scary they will subside and you can begin to heal mentally and physically, beginning your road to sober living. The alcohol withdrawal timeline depends on the amount of alcohol your body was used to consuming. The symptoms can last for a few days, weeks and in extreme cases months. Though physical withdrawal effects can dissipate all together in a few weeks, psychological withdrawal symptoms have been known to last for years. Persons can experience the need to have a drink. They can get cravings for new events, trauma, and problems that may arise in day to day life. Do not let the alcohol withdrawal timeline deter you from your goal of achieving sobriety. The end results far surpass any pain and difficulties you must go through to achieve your goal of an alcohol-free lifestyle. Keep in mind that addressing only the alcohol withdrawal symptoms will not make your addiction disappear. The detox and withdrawal phases are just the beginning of the process. You will need formal alcohol treatment for your addiction, which should include a residential program that can equip you with life skills and the knowledge on how to stay sober. Joining support groups as well can help you stay sober and live an alcohol-free life.